Ponmudi is an enchanting hill resort with narrow winding pathways and cool, green environs. Along with a beautiful array of mountain flowers, exotic butterflies and small rivulets, Ponmudi offers excellent opportunities for trekking. The main tourist inflow at Ponmudi is towards the upper sanatorium which is the hilltop and to the lower sanatorium where the DTPC guest house and KTDC establishments are functioning. The hilltop is attracting and the increased number of tourist and DTPC has initiated various activities at upper sanatorium such as ropeway, watch tower etc and the projects are on the pipeline of execution. 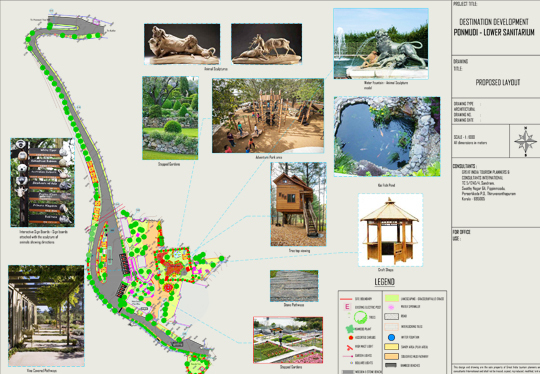 This project incorporates the Development and beautification of lower sanatorium Ponmudi which includes the establishment of transport terminal, parking facilities, parks, forest walkways and related developments. 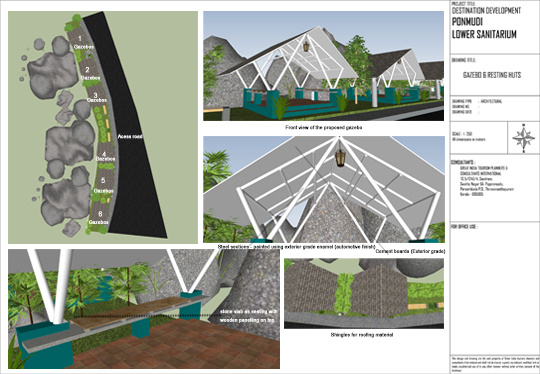 The governing concept for the preparation of Development and beautification plan for the Lower sanatorium -Ponmudi and surroundings would be the holistic development of the region integrating the various elements of tourism potential in a single string accounting for sustainability and threshold limits of the area. The focus is on branding the region as an eco-tourism hub which is already a part of the golden circuit of Kerala. 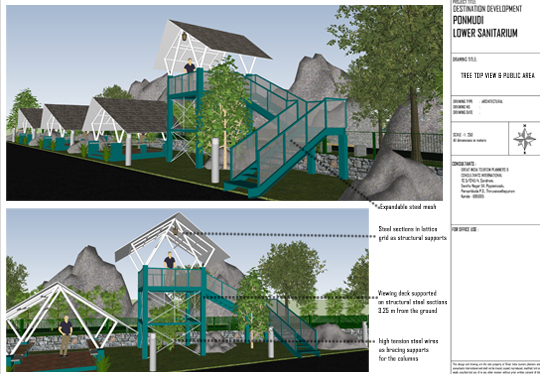 The objective is to prepare a micro level development project report for the development and beautification of lower sanatorium- Ponmudi by incorporating proposals in a focused manner, within the framework of the long-term macro-level perspective giving due attention to see that carrying capacity of the destination is not exceeded.